So, who would have thought that David O. Russell, who hasn’t made a feature film in six years (and whose last feature was the very weird — though not in a bad way — “I Heart Huckabees”), would make a movie that got seven Oscar nominations? 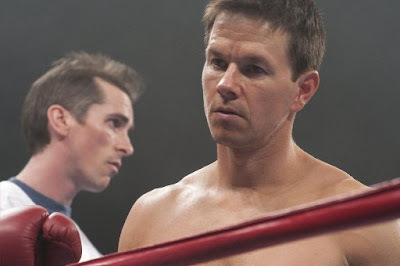 “The Fighter,” a wonderfully acted sports movie/family drama, snuck up on audiences late in the year, and I’ve heard more than one person accidentally refer to it as “The Wrestler” (Darren Aronofsky’s pre-“Black Swan” effort, also Oscar-friendly). Clearly it’s resonating with Oscar voters, perhaps in the same way that “The Blind Side” did last year; though “The Fighter” is a far grittier film, it still ultimately celebrates family and athletic achievement. (Interesting, though, that “The Fighter” almost seems to change movies midstream; it’s a quirky, harsh, fascinating character drama three-quarters of the way through, then suddenly becomes a far more conventional sports movie than you’d ever think Russell might make.) Like “The Blind Side,” it’s more likely to win an acting Oscar (or maybe two) than the big prize. Total Oscar nominations: Seven, including best picture, director, supporting actor (Christian Bale), supporting actress (Melissa Leo and Amy Adams), screenplay and editing. Best chances for a win: Christian Bale’s looking like a lock for best supporting actor, and I wouldn’t argue; as a former boxer turned crack addict, he gives a jittery, mesmerizing performance from which I couldn’t look away. (Note, also, the effortless accent work; it’s easy to forget, until you hear Bale give an acceptance speech as he did at the Golden Globes, that he’s a Brit — born in Wales, raised in England.) Melissa Leo was likewise the front-runner in supporting actress, until she launched a self-financed promotional campaign that raised a few eyebrows and which might have thrown momentum to her colleague Adams (whose role is less showy, but is a nice departure for Adams), or more likely Hailee Steinfeld of “True Grit.” The other awards are far less likely.